I want to inform you about a fantastic service that I have become a big fan of. Let me highlight the current environment and you be the judge if there is need for improvement.In the name of consumerism advocates are promoting the need for consumers to be better shoppers and have more skin in the game. Even the Feds have concluded regarding Health Literacy Only 12 percent of U.S. adults have proficient health literacy. Over a third of U.S. adults-77 million people-would have difficulty with common health tasks, such as following directions on a prescription drug label or adhering to a childhood immunization schedule using a standard chart. Now with good fortune most consumers have assistance from their Primary Care doctor who may or may not have a conflict of interest in guiding the consumer to the best lab, specialist, hospital etc. Let's think the best and embrace that other than network responsibilities the good doctor does not have a conflict of interest and simply desires to direct the consumer to high quality care. What objective data does the Primary Care doctor have to guide the vulnerable consumer? Since no objective data is at hand the doctor uses very reasonable judgmental skills we all use. "It's who you know." It may be a buddy from medical school, a friend from church. A peer on the golf course. A political companion. A peer in the same medical group. A peer from the same hospital system.The point is the Primary Care doctor has virtually no objective data that can guide someone to the highest quality providers in the network nor in the area. Keep in mind that services do exist which provide high quality current information to consumers (employees and their families), directing them to high performance (high success outcome) providers. These services save money too! This service is for employer and group health benefit plans. Punctuating the fact that "Steerage is far more financially important than discounts!" These advocate services direct members to high performance (high success outcomes) specialists, then navigates the members to the lower net cost facilities (in the contracted PPO) these specialists serve. You may already be familiar with transplant specialty care networks. Essentially this is like a specialty care network for all radiology, specialist care and hospital care. Patients are guided through the procedure by skilled navigators (nurses) to improve the outcome and therefore lower the cost. These vendors apply the same process to all of the other specialty medical care. Non-emergency inpatient care, outpatient surgical, diagnostic imaging (imaging alone can save seven times the fees), colonoscopies, pain management. Milliman has reviewed these services and identified some save $28.00 to $53.00 pepm for engaged groups (some groups are currently experiencing over $ 100.00 pepm in hard dollar savings), just on directing facilities utilized. The great news is that high quality health care often cost the least. A repeatable process and nation wide data, that allows Milliman to construct an actuary review. Few "advocate services" in the country can stand up to this scrutiny. The Mayo Clinic system has agreed to be medical directors to some of these vendors, wishing to be involved on the cutting edge of medical information technology. Consumers have little concept of the costs they will incur when they buy medical care. There is little information available to consumers for making medical decisions on the basis of quality. Consumers are often on their own when deciding what services they need, where they should get the services, and who is best to perform those services. ‍Even at the same facility cost can vary widely by who the doctor is: for a knee replacement a range in cost of $23,116 to $43,282 is well within norms; with the same operating room, nurses, and level of difficulty. The right physician makes a huge difference in the facility cost. The best doctors have fewer complications, lower mortality rate, spend less time in the operating room, order fewer tests, and have lower length of stays. Picking the best physician will save 12.5% on facility costs. How do these vendors choose the best physicians? They Establish guidelines for the minimum number of procedures done annually. They look at complication rates, mortality rates. They look at malpractice suits, disciplinary actions. They explore education, license, and Board Certifications. They check availability to make sure they are still taking patients. When should consumers call an Advocate? 24-48 hours after new diagnosis or referral to specialist. 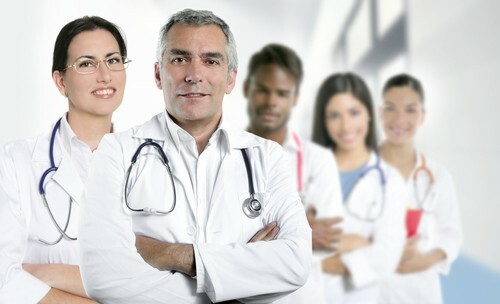 When quality information on any physician or medical facility is desired. When a specialist is needed or whenever the consumer plans to have a procedure done in a hospital or an outpatient facility. Whenever the consumer would like information on an alternative treatment. Consumers can contact these type services via the internet or toll free. The best vendors will have the nurse provide up to three high quality doctors and/or facilities in the area and network within 24 hours of the request. The program can be implemented on a voluntary or mandatory call basis, as an incentive and/or with penalties. In the end the consumer always has freedom to do what they think is best. These vendors are HIPAA compliant and should provide group reports on savings, participation, and description of services provided. The right vendor will have an immediate impact on employer cost and employee's welfare, much more than other programs that cost about the same with results that are typically less measurable. The goal is to assist employees to get to the highest quality and most efficient healthcare available- it means better care for employees and families. A secondary benefit is the plan saves money! The highest quality providers are almost always in the lower third of cost. If you would like more information...don't hesitate to ask. Mr. Crimmins (Bill) has a twenty-six year career marketing group health benefits and numerous ancillary support products primarily in the Health Management business. He is a pioneer in work-site clinics. The self-proclaimed "Ambassador of Healthcare in America" is a Ball State graduate in world History. He began his insurance career with the Prudential of the South, Pilot Life and served with Mass Mutual in the late 80's early 90's. He was an officer of CHUBB Life America prior to Chubb's exit from the health benefit market. Then he joined the TPA world in 1995 through the present. Bill has very strong convictions regarding Healthcare in America. He believes that all parties must be responsible to do their part to enhance the compensation packages of all Americans. This should increase the possibilities of all Americans to be insured against financial ruin. Bill plays the role of Ambassador, Herald and educator. He loves his work! Bill and his wife, Professor Corcoran Crimmins live with their three boys in Greencastle Indiana. Bill recently published an article on Health Reform. If you are interested in getting a copy let Bill know. 765-720-0392 mailto:crimmins@link2000.net I suggest for more information you call Dr. Tony Wendler directly at 888-945-3464. You may also write Doctor Wendler at ARWendler@MedicalAdvocateProgram.com.